One of Liverpool's unsung hero's Lucas, the original boy from Brazil, signed from his home club Gremio by Rafa Benitez back in 2005 is the subject of a £5 million bid by Italian side Inter Milan. At first he didn't impress Liverpool fans with his clumsy tackles and ineffectual performances in midfield as a partner to Captain Steven Gerrard. However, as time went on as Lucas got accustomed to the demands of the break-neck speed of the Premier League, he began to gain something approaching cult-status with the Anfield following and supporters around the World. His no-nonsense approach and tough tackling which usually earned him a yellow card in almost every game he played for the Reds epitomized his commitment to Liverpool FC and the City itself which he has grown to love over the years. Although he has never won a trophy despite Liverpool winning League Cups when he was cruelly injured, he was awarded a special commemoration of his ten years of service to Liverpool Football Club last Season by Kenny Dalglish as a gesture to the Brazilian. A £5 million fee has been agreed between Liverpool and Lazio for the player's transfer. 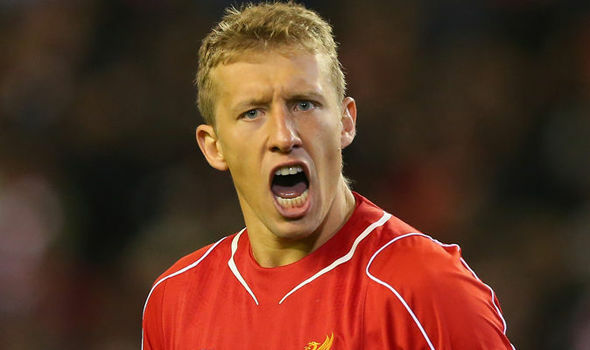 I am sure that an agreement can be reached by both clubs and Lucas himself as he looks forward to a new chapter in his career.